Airbnb, a company that considers everyone’s home to be part of one big hotel, recently decided it might be a good idea to bring cultural heritage sites into its real estate portfolio. But a special offer to spend a night on the Great Wall of China has been cancelled after complaints on social media. 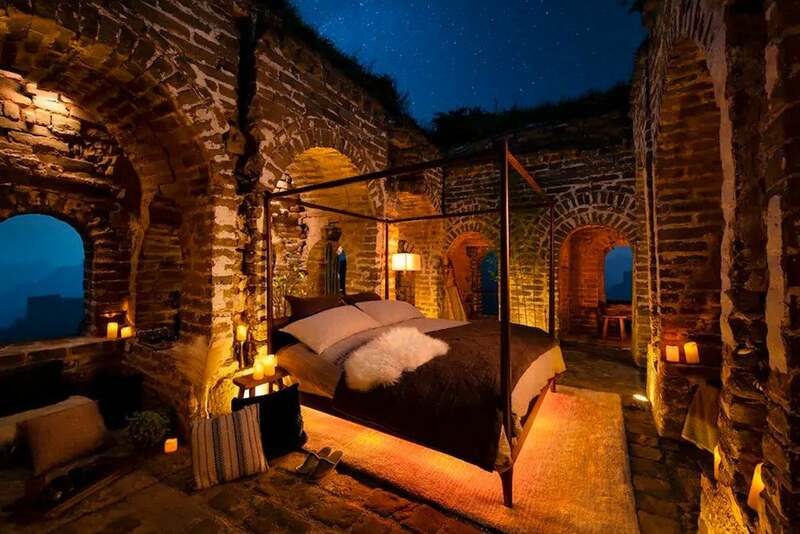 The planned stay on the centuries-old fortification that stretches thousands of miles was part of a contest series Airbnb has been running called “Night At.” A one night stay is offered in various exotic locations around the world to a few lucky winners. In this case, users were asked to write a short response to the questions: “Why is it more important now than ever to break down barriers between cultures? How would you want to build new connections?” Eight essays would be chosen as the winners and the prize would be a one night stay in a customised guard tower, a multi-course gourmet dinner, and traditional Chinese entertainment. The idea of staying on the Great Wall overnight isn’t something that’s unprecedented; tourists are allowed to camp out if they like. But that’s a bit different than having a special-built suite inside a guard tower along with an entourage of chefs and entertainers. The fact that Airbnb has bent over backward to spin this as a high-concept meditation on crossing cultural barriers rather than a basic publicity stunt is a pretty good indication that organisers knew they were straddling a thin line. It’s akin to a Chinese company offering lodging on top of Washington’s Mount Rushmore head with complimentary hot dogs and a jug band.